Most of us have a rough idea of what a pension is. You’re likely aware that it’s the money you receive when you retire to ensure that you can keep living, despite not earning a monthly salary from work anymore. What we do find however, is that many people are not aware of the intricacies of pensions. “What exactly is a pension?”, “What kinds of pensions are there?”, “How do I get the money out of my pension fund?” These are all commonly asked questions that you may not know the answers to, which is why the IMC team have put together this guide to help you understand how exactly a pension plan works. It can be helpful to just get right back to basics sometimes. A pension is a financial product in which money is stored, allowing you to build up a fund to use when you retire. Your pension is a tax-free pot for you to use to support yourself when you’re no longer earning. It’s built up with funds that you are currently earning, developed from a portion of your disposable income. Rather than having access to it now, it’s put into a fund for you to use in the future. Below, we’ve outlined the three main types of pension scheme. Workplace pension schemes often come in the form of either a defined benefit or a defined contribution scheme. A defined benefit pension scheme pays out an annual sum to you when you retire. As such, this plan is frequently referred to as a ‘Final Salary’ scheme. The income that you receive upon retirement is based around your earnings before you retire, either to reflect what you earned during your last year of work or based on a career average. With defined benefit schemes, it is your employer’s responsibility to pay out the promised amount. The money that you contribute out of your pay packet every month is put into a pot with the other employees, for the employer to use as a final salary. However, due to the employer having to pay out a potentially very large sum, these pensions are rare in the private sector. Unlike defined benefit schemes, defined contribution pensions do not pay out a set sum. It’s up to you to invest a portion of your income into the pot, the employer will then match a portion – or all – of the money invested. The money in the pot is usually invested to provide an additional boost to the final pension when it is paid out. But remember, it’s your responsibility to invest into the fund. Often, the automatic workplace pension isn’t enough to live on comfortably, so the more you put in, the more you will get out when you need it most. If you are self-employed or simply want the freedom to choose a pension plan, on your own terms, without the interference of your employer; a self-invested personal pension may be ideal for you. SIPPs are a low-cost, do-it-yourself pension option that can offer great benefits. With a SIPP, you can invest your money where you please without restrictions enforced by either your employer or a pension company. Of course, you’ll be investing in your choice of fund, so how much you benefit (or if you benefit at all) is on your head, so you will need to be confident managing your own investment portfolio if you choose this option. For a more in-depth guide to self-invested personal pensions, read our guide to SIPPs. Whether you invest in your own pension fund or have an employer to do it for you, you will still receive a state pension. You are entitled to a state pension due to your national insurance contributions and, while not exactly a great amount, the £125.95 per week paid to you by the government on top of your workplace pension is a very nice added bonus. 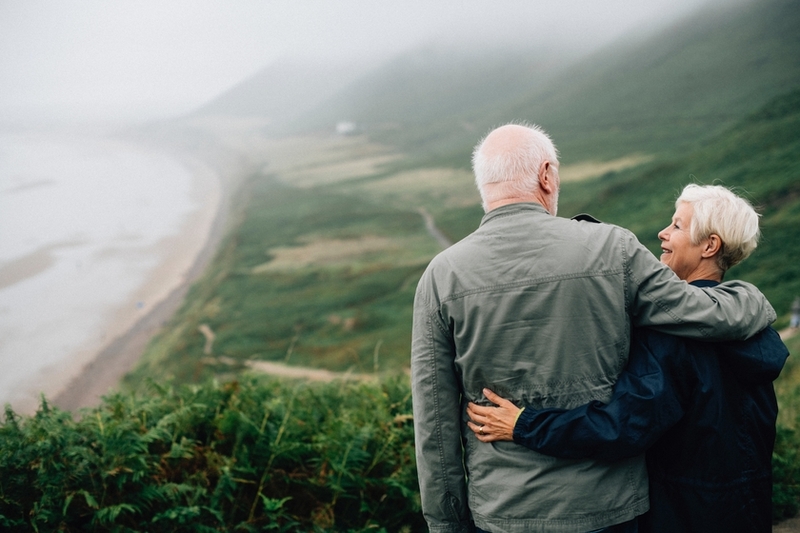 You won’t receive your pension until you reach the state retirement age – currently 66, but this is due to rise in the future – so it’s important that you have provisions in place if you wish to retire early. How does a pension pay out? Currently, the earliest you can access your pension is 55. And when the time comes to access the money, you may be wondering how exactly you receive it. One option is to simply draw out a lump sum of cash, the first 25% of the pension is entirely tax-free. Following this, you can either buy annuity or leave the rest of your pension invested in a process called drawdown. This excess cash can then be drawn out as you wish, while paying the usual income tax rate. Alternatively, you could also choose to forgo the 25% lump sum and keep your pension invested to draw on it as you please with the first 25% of every withdrawal being tax-free, the rest taxed at the usual rate. The best option for having your pension paid out will vary depending on factors including your age, health and family circumstances. As such, it is helpful to seek out an independent pension advisor to run through your pension options to find the best for your situation. While this will incur a minor cost, it will help you to avoid getting into any financial scrapes in the future. For independent pension advice you can trust, get in touch with the friendly IMC team today to discover the best way to retire.